Better, we should all look at the facts. First, Canada is the largest US export partner. In 2017, US had a solid $8,5bn surplus in goods and services exports ($673,9bn). Second, while Canada taxes US dairy at 270%, US taxes Canada 350% on tobacco and 132% on certain peanuts. Third, American car producers manufacture only 50% of their total in US, the rest is mainly done in Mexico and, you guessed it, in Canada. So now we have it. 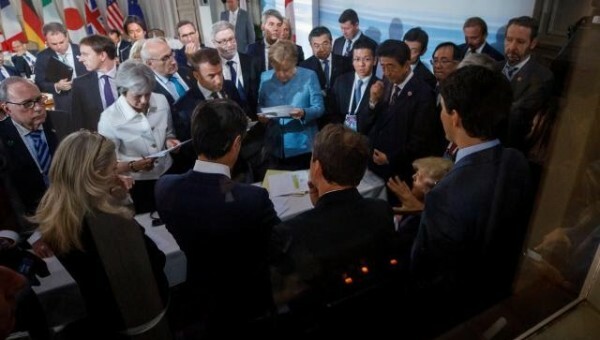 Donald Trump is unable to function as a member of a group (G7, Nafta, Paris Climate Agreement, Iran Nuclear Agreement), everything must revolve around him and he will not hesitate to parcel facts and reality in order to advocate his right to do whatever he wants. Did somebody recently argue against “the Strongmen”?